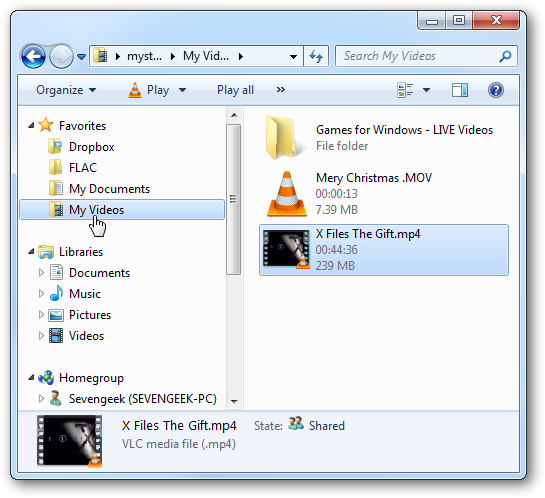 Home » windows 7 » Add Your Own Folders to Favorites in Windows 7..
Add Your Own Folders to Favorites in Windows 7.. 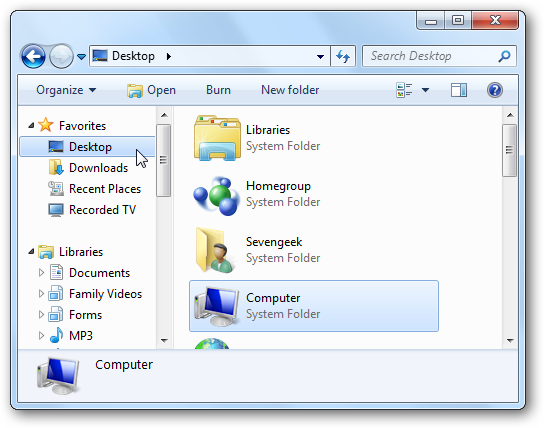 When you open Explorer in Windows 7 you’ll see a list of Favorites in the Navigation Pane. 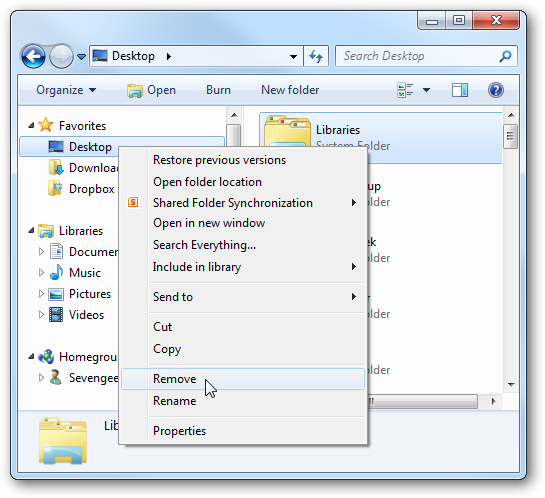 Microsoft has already put some there, but today we show you how to remove them and add your own favorite folders including Search Connectors. By default Microsoft has included some favorite locations for you that you may not want. The default locations are Desktop, Downloads, Recent Places, and Recorded TV if you’ve set up Live TV in Windows Media Center. To delete the locations from Favorites, simply right-click on the location and select Remove from the context menu. Adding you favorite locations that you visit often is easy. While your in the folder you want to add, right-click on Favorites and select Add current location to Favorites. You can also drag a folder over to Favorites to link it there as well. 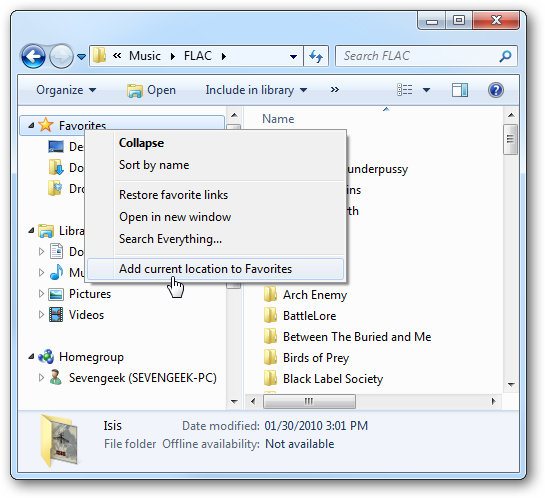 In this example we removed all of the default locations and added four locations…a FLAC folder from a home server, My Documents, My Videos, and our Dropbox folder. 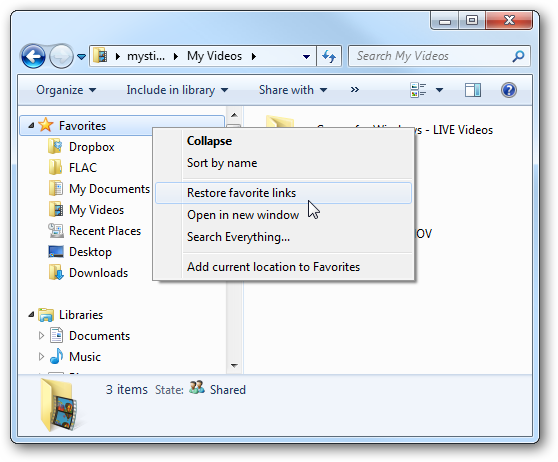 If you want to get the default locations back just right-click Favorites and select Restore favorite links. It won’t delete the locations you added, but will just restore the originals. 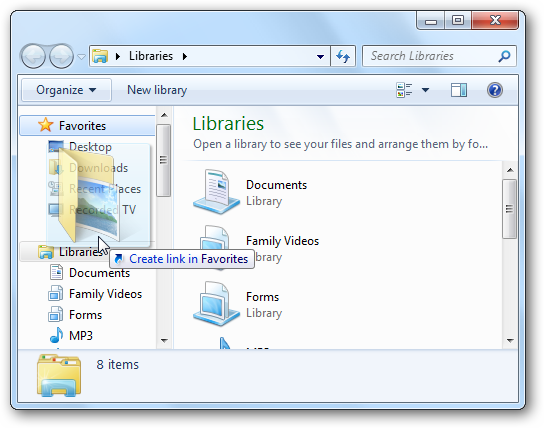 You can’t add Internet Explorer Favorites or files to your favorites in Windows Explorer. 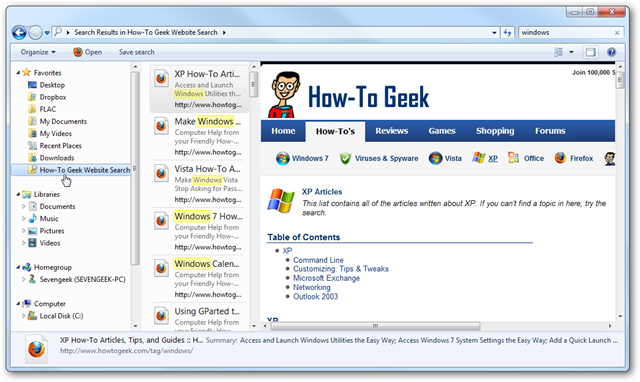 However, you can add Search Connectors which allow you to search a favorite website and view it in Windows Explorer. This is a neat trick we covered in a previous article. This should help make navigating through your favorite locations a bit easier and allow you to add Search Connectors as well. 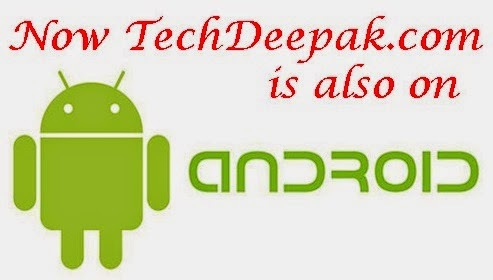 Make sure to check out our links below that will help better understand Search Connectors and why they might come in handy.